From Software's next game isn't a sequel to Demon's Souls, but carries on the developers legacy of challenging action RPG gameplay. When the words "From Software" flashed across the screen during Bloodborne's announcement at Monday's Sony press event, there was a noticeable stir in the audience. From Software, developer of Demon's Souls and the Dark Souls series, has made a name for itself with brutally challenging action RPGs, and some gamers can't get enough of that punishing gameplay. 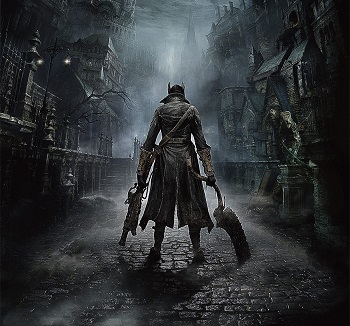 Bloodborne brings From Software into the next generation on the PS4, and though it shares some similarities with the developer's other titles, make no mistake: this is not, as was stated clearly at Sony's booth today, a successor to Demon's Souls. At first glance, it's easy to see how one could compare the Souls games with Bloodborne. The combat, at a basic level, is similar, as is the genre, a third-person action RPG with an over-the-shoulder camera view. 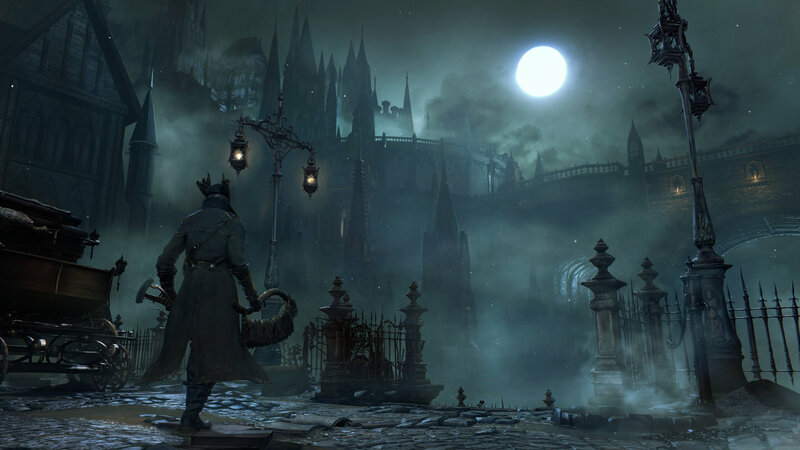 Bloodborne also brings plenty of original elements to the mix, though, like a gothic Victorian setting (okay, maybe that's not the most original, but it is for this developer). 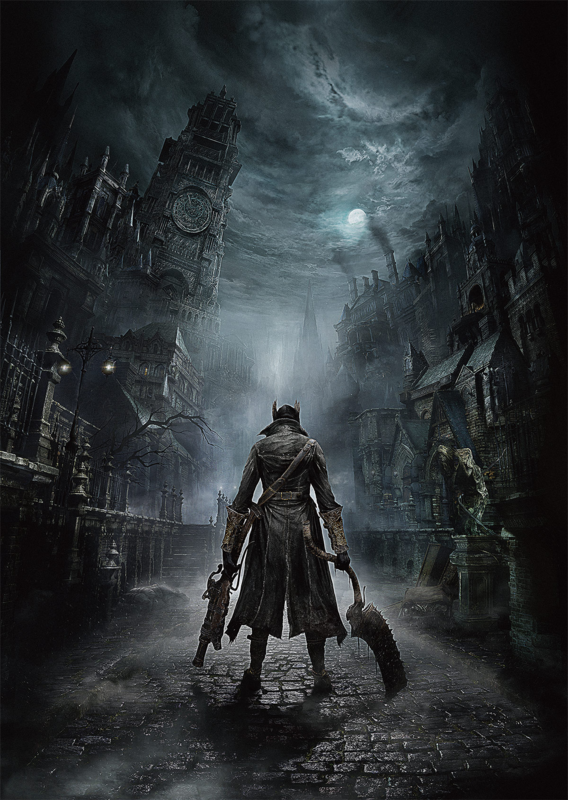 Set during the 19th century in a city called Yharnam, Bloodborne has three central themes: exploration of the unknown, "truly perilous combat," and a unique approach to online gameplay that wasn't detailed in this week's session. Exploration of the unknown doesn't refer to a specific feature; it's meant in a very broad sense. The layout of Yharnum itself is unknown and just ready to be explored, but that's not all. The combat and characters are also a mystery to new players, making every aspect of Bloodborne something that should be investigated deeper. 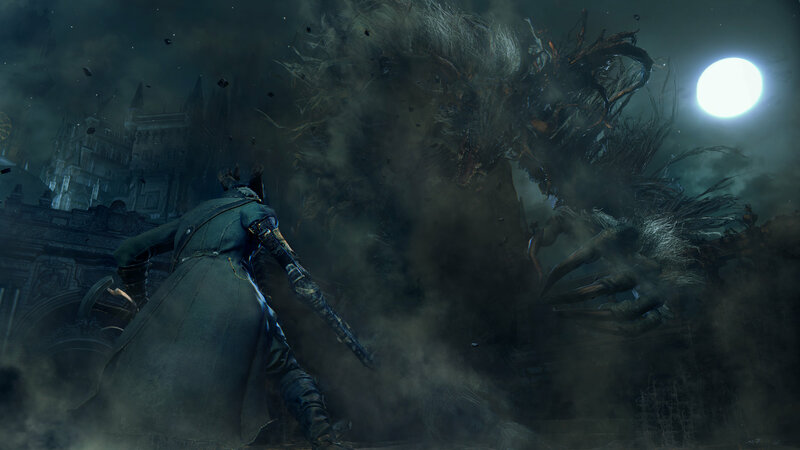 Perilous combat is what From Studios has built its pedigree on, so it's no surprise that Sony's Japan Studio wants to deliver that combat experience to Bloodborne as well. There will only be one difficulty mode, so those looking for an easier (or harder) challenge are out of luck: you'll have to play Bloodborne as it was meant to be played, approaching combat sensibly, using weapons strategically, and basically just trying not to get killed. Okay, you'll get killed. Game Director Hidetaka Miyazaki assured us of that much during the demo. The live demo was put together specifically for E3, so we didn't see the player meet his untimely end during it, but we were told that under normal circumstances, that wouldn't be the case. That said, the purpose of this theme isn't to punish or frustrate the player; it's to inspire them to overcome challenges. There's a balance to that, and it's something that the developers are still working on, but they don't want anyone to be discouraged from playing Bloodborne because they think it will be too hard. When describing the battle interactions and animations, the phrase "blood-splattering" was thrown around a lot, and what I saw delivered on that promise, at least. During fighting sessions, there's blood everywhere. It puddles in the streets, reflective in the moonlight. It drenches the player and, if things are going well, his foe. With every attack, more crimson liquid spurts out and stains its surroundings. If blood splatter is what pushes a game forward, then From Software can check "make next-gen game" off its to-do list. With each battle, players should feel like they're fighting for their life. "When you face an enemy, you're also facing death," the game's director said. "When it's done, you're going to have a huge sense of accomplishment." And be covered in blood, presumably. Unlike Dark Souls' passive sword and shield approach, players engage much more actively in Bloodborne's battles. There are ranged weapons, as well as transformable melee weapons that can be used in a variety of ways, letting you switch up your tactics in battle. While rushing headfirst into an angry mob isn't going to win you any victories, being too passive will ensure that you quickly become overwhelmed. I got to see exactly how that balance worked during the live demo. Since we're still in the dawn of a new generation, "it's pretty" is becoming a common refrain at E3, and Bloodborne is no exception. The gothic Victorian setting isn't exactly the most original in gaming, but it still manages to look distinct and haunting, with axe-wielding villains looking like something out of a Tim Burton movie. Yharnam is cursed, you see, with an illness turning its civilians into these beasts, which evolve over time. 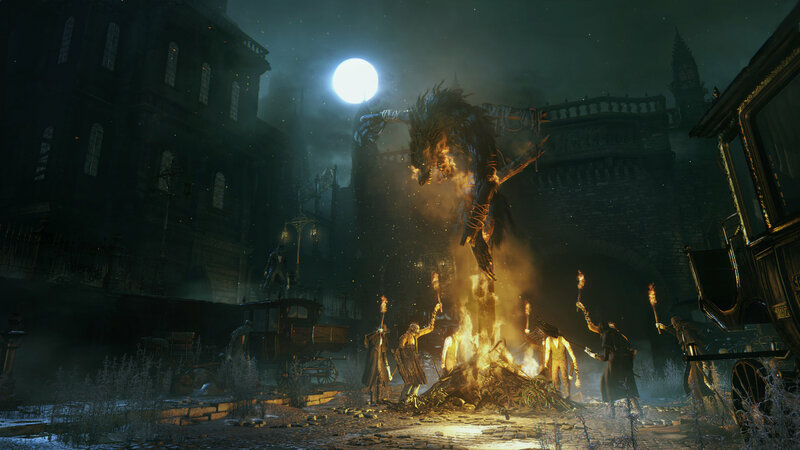 In the demo, an angry, torch-wielding mob had gathered in the center of town to burn one of the captured creatures; however, unbeknownst to them, members of the mob were also afflicted and slowly turning beast-like themselves. Rushing straight into the crowd would have been a recipe for disaster, so instead the player waited for a bell to ring, signaling that the hunt had resumed. The mob dispersed, and he was able to take them out in smaller groups. I was able to see just how one weapon, a curved axe, could be used in battle: it could extend completely to extra reach, or switch back and forth on the fly. It also looks really badass, so bonus points for that. Aside from the Burton-esque axe-wielding maniacs, there were a few other types of enemies on display during the demo. There are some nasty-looking dogs, and further evolved beasts that looked more like overgrown werewolves. Oh, and the giant, blood-sucking crows, because why not? That all led up to a challenging boss fight, where we saw a creature that was all nails and bone and hair tower over the protagonist. It was a bloodbath, especially once the player's gun came out. Unlike most games, guns in Bloodborne aren't meant for long-range combat; instead, they're used to deal extra damage up close. Before long, the demo came to a close with the player, boss, and ground covered in red-next-gen blood splatter, indeed. We didn't get to see how death worked in the demo, probably because the developers are still fine-tuning it. They don't want the threat of death to frustrate the player, but Dark Souls fans are obviously going to expect quite a challenge. It's a balance, and it's still being worked on. 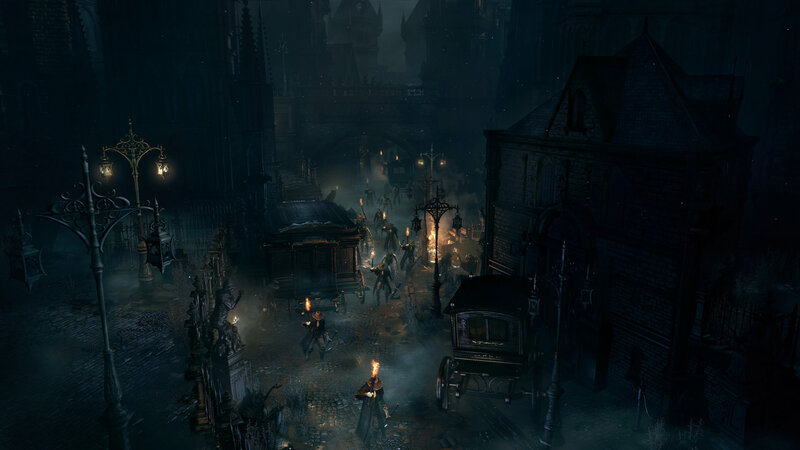 What we do know is that Bloodborne will have a full set of RPG elements, including varied weapons, skill upgrades, and character builds, as well as an organic, seamlessly interconnected environment. 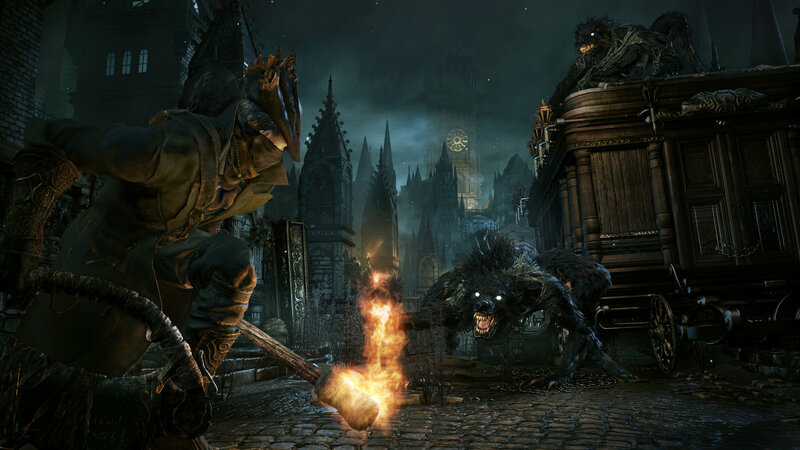 There's still a while to go before its vague 2015 PS4 release date, but Bloodborne is shaping up to be a worthy action RPG of the From Software name.